Gate Clearance & Visitor Management. What is the PIPER App about? 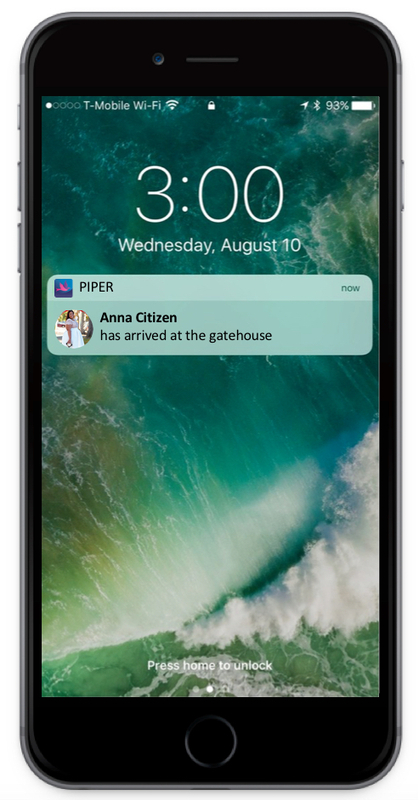 The PIPER APP is a mobile application that allows residents of your community & condominium associations to CONNECT DIRECTLY TO THE GATEHOUSE. 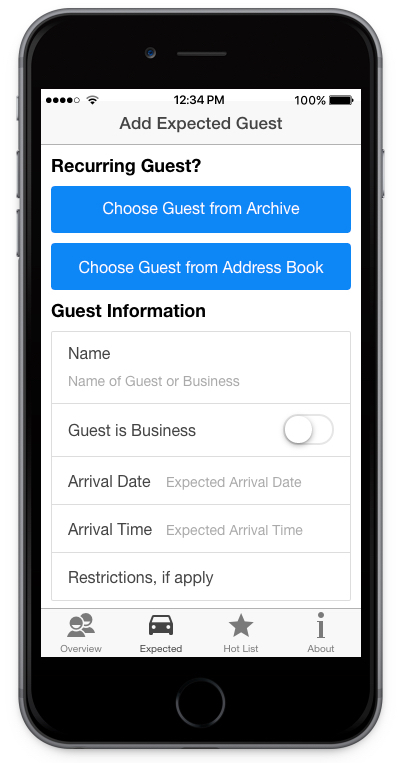 Once registered, residents can MANAGE GUEST & VENDOR LISTS, TRACK VISITOR HISTORY & RECEIVE ARRIVAL ALERTS. Our products enhance and supplement existing systems, eliminating unnecessary overhead & implementation costs. 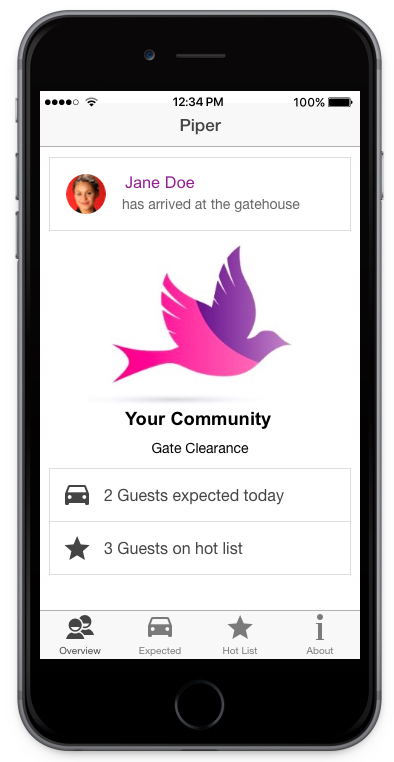 PIPER provides residents with a modern, simple, and fast option for visitor management and gate clearance. How does the PIPER APP work? PIPER does not require any complicated software or hardware. It can be set up immediately as an additional option for your residents. PIPER will not have to replace your existing system, but supplement it. Security staff can manage gate clearance with an ipad or computer. Residents can use the app or web interface. We customize PIPER specifically for your needs. Additionally, we provide on-going customer support and free upgrades. Since PIPER is custom-made we evolve and expand it over time. We want to integrate your ideas and new features along the way. Piper is extremely user-friendly. Of course, our support team is always available, in case our clients or users have questions. How does the PIPER APP enhance life in your community? Old technology is expensive to maintain. With PIPER no complex hardware systems or additional software are needed. After the initial set up, maintenance costs are as low as .90 cent per unit per month. Residents will have peace-of-mind that their information is secure. It is utilized to proactively manage access into their community. The user-friendly guard tablet allows staff to organize & manage visitor databases efficiently. PIPER drastically reduces the need for resident calls, outdated handwritten paper logs and data. Both residents and staff save time. Security staff has the most up-to-date & accurate visitor information available in real-time, enhancing staff professionalism & providing fast and secure service. Today any community should think about the integration of mobile solutions for residents, in order to provide a modern standard of living. Why not tackle this challenge now and move forward with a first-class living experience!? We design our products with diverse users in mind. 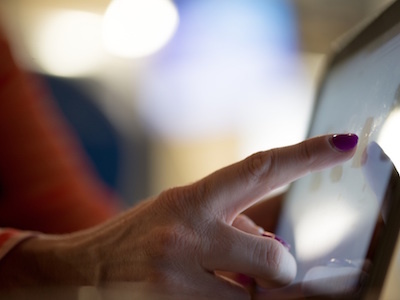 User-friendly navigation and handling for people of all ages are our top priority. Why should I choose PIPER? What makes PIPER different from competitors? 1. WE take care of all processes onsite. You will not be required to collect resident information, to compile or to edit complicated technical documents. Our team handles everything for you. 2. WE manage all administration tasks, edit resident information, add new residents, delete old resident data, and make sure all information is always up to date. 3. WE provide continious onsite customer support. 4. WE introduce the system in person to staff and residents, e.g. give tutorials. 6. WE guarantee there are no additional charges or hidden costs. 7. 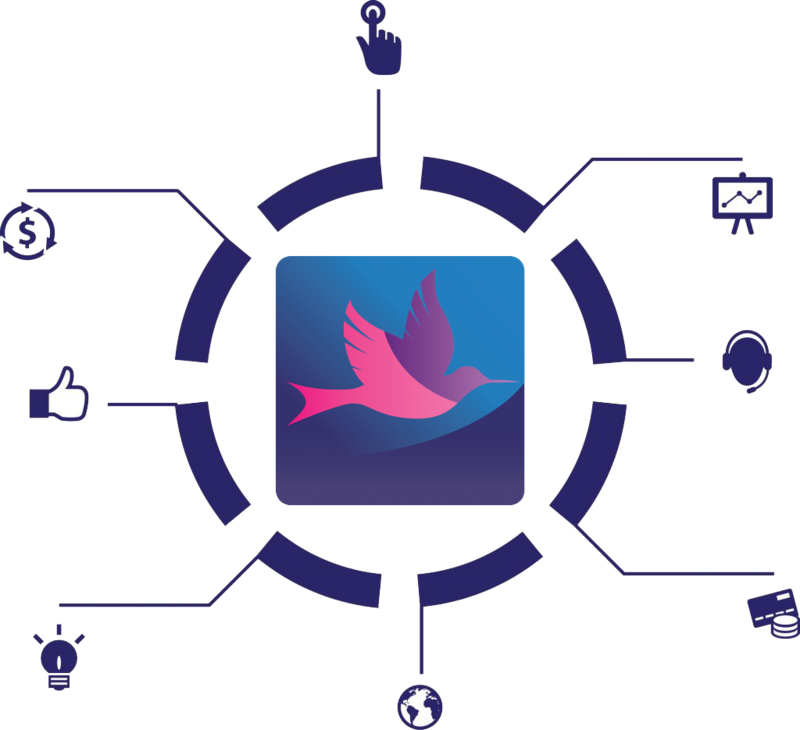 Given the high quality of your websites and apps we are able to connect all software – eventually designing and expanding an all-encompassing digital communication and management system. 8. WE design our apps with future upgrades in mind. Since PIPER is custom-made we evolve and expand it over time. 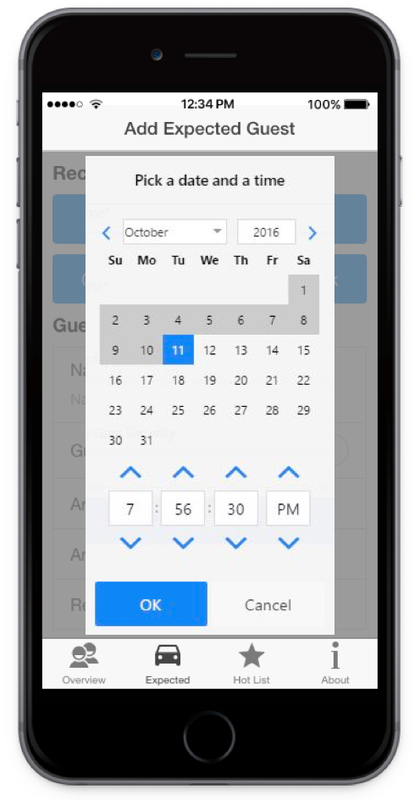 At any point in the future, we can add new features such as hot lists, mail delivery notifications, emergency alerts, gate video entrance, building access, etc. In short, we offer the whole package and outstanding customer service at an affordable price. How does the PIPER app, registration and set-up work? Residents download the PIPER APP to their smartphone or tablet. Each resident receives a unique security code to ensure that only eligible residents can register. Residents can then create a profile with a personal password. Once registered, residents can simply type in the names of their visitors, or import names from their address book. They can choose the date and time of arrival, and send all necessary information to the gate house. The gate house staff receives the names of visitors in real-time on a tablet, incl. resident information and restrictions if apply. Staff can track and save all data with one click. Tablets will be provided. Once a visitor has been allowed access to the community, the resident who is being visited receives an automatic arrival notification. This is optional and can be sent via email or push message directly to the phone. 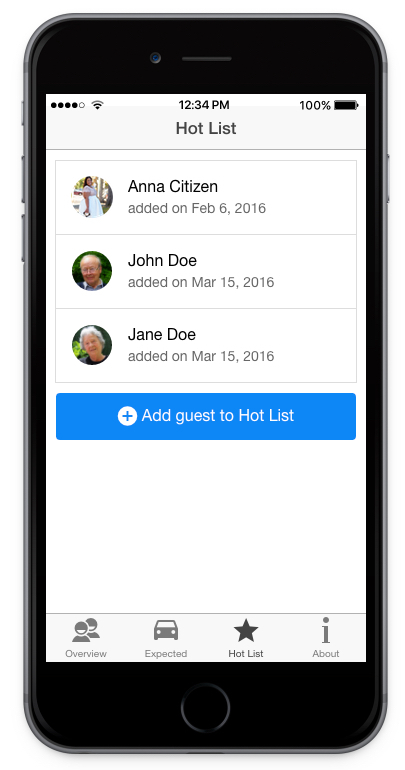 The PIPER APP saves visitor information, so residents can allow access to frequent visitors with just one click.